Digital Forsyth | Easter Sunrise Service at God’s Acre in Salem, 1958. 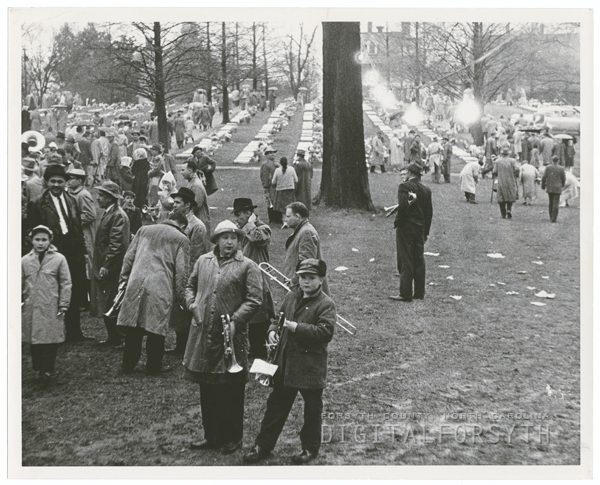 Home › Photos › Easter Sunrise Service at God’s Acre in Salem, 1958. Easter Sunrise Service at God’s Acre in Salem, 1958. Easter Sunrise Service at God’s Acre in Salem, 1958. Photo shows the band and the crowd at the graveyard. Easter Sunrise Service at God's Acre in Salem, 1958. Easter Sunrise Service at God's Acre in Salem, 1958. Photo shows the band and the crowd at the graveyard.